This charming Penguin soap dispenser dressed up in a black and white tux. 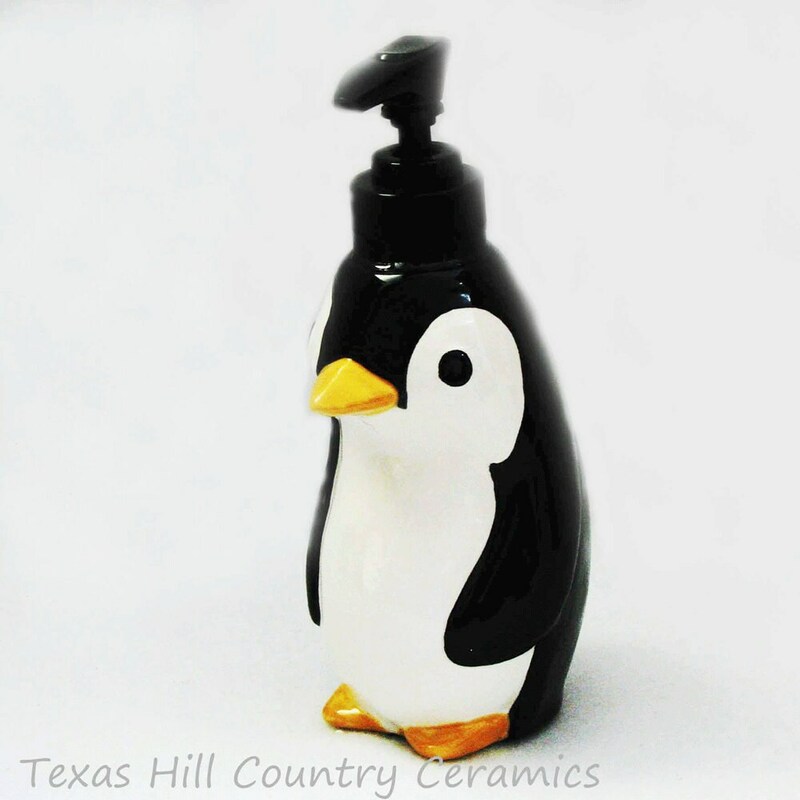 This Penguin dispenser is ceramic and designed to hold liquid soap or lotion. This Penguin dispenser is ideal for holiday decorating or can be used all year long. 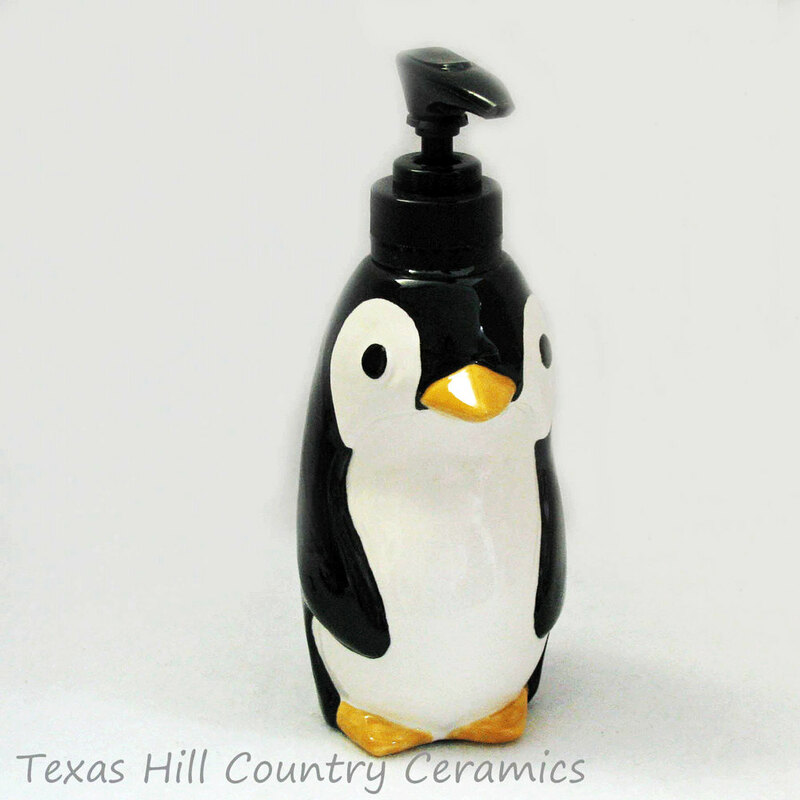 Kids of all ages will love to let this little penguin pump dispenser give them a squirt of liquid soap or hand sanitizer. Ideal for housewarming gift giving or for a child's bath. 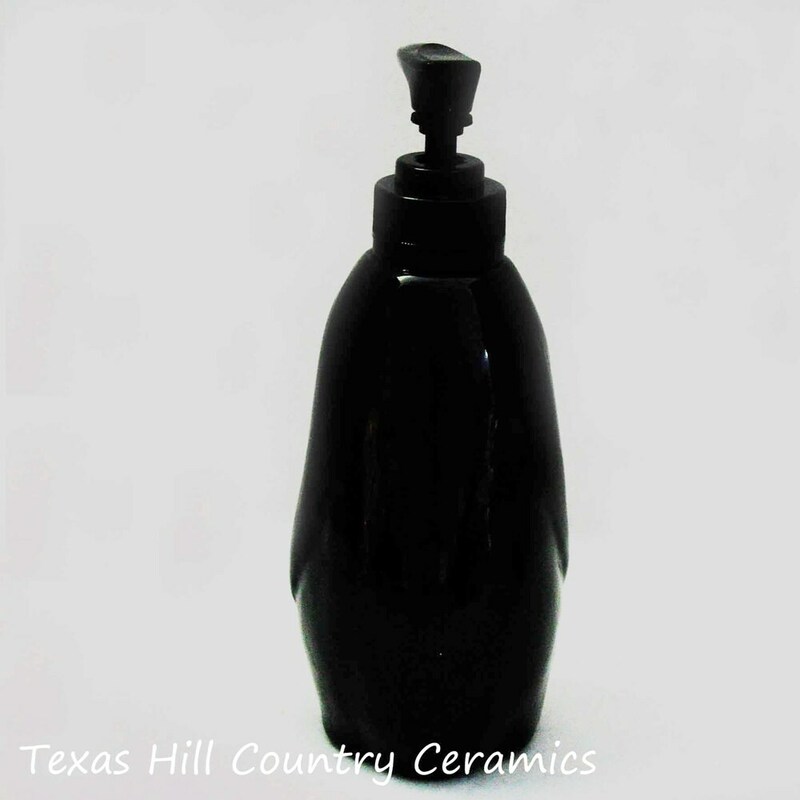 This dispenser is made of domestic slip and kiln fired to bisque and glazed with lead free glaze. To keep this dispenser in pristine condition the inside is glazed so it is waterproof. Dispensers that absorb moisture are more likely to have the outside surface flake and peel. The pump unit is secured to the top with a threaded collar that is affixed with strong epoxy glue. I just love this penguin. It was exactly what I wanted as a soap dispenser in my kitchen. The quality exceeded my expectations. I would definitely recommend this shop!